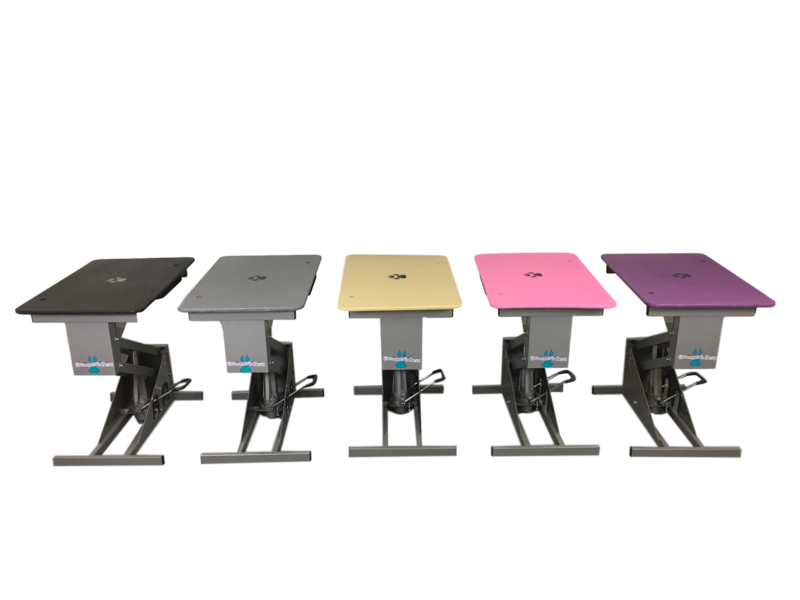 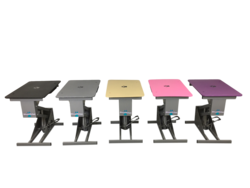 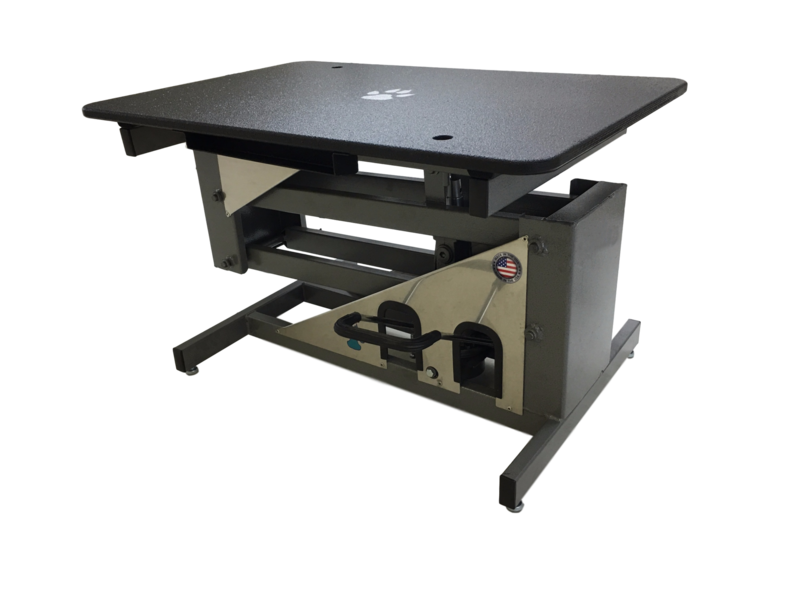 Available in standard black, gray or almond (top only) with durable slip resistant table top. Storage spaces for grooming tools on both ends of the table. 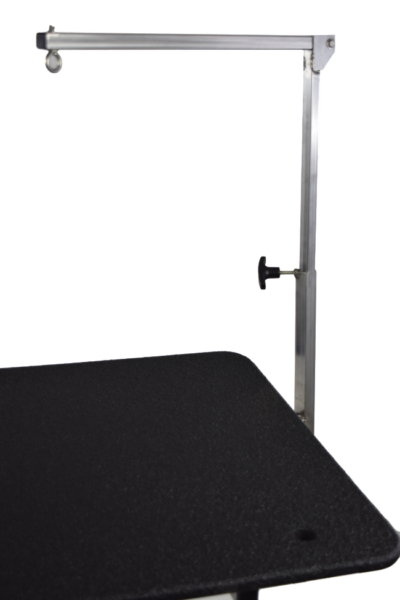 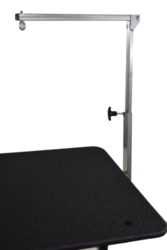 Simply pump the foot pedal to adjust the table height from 19" up to 39". 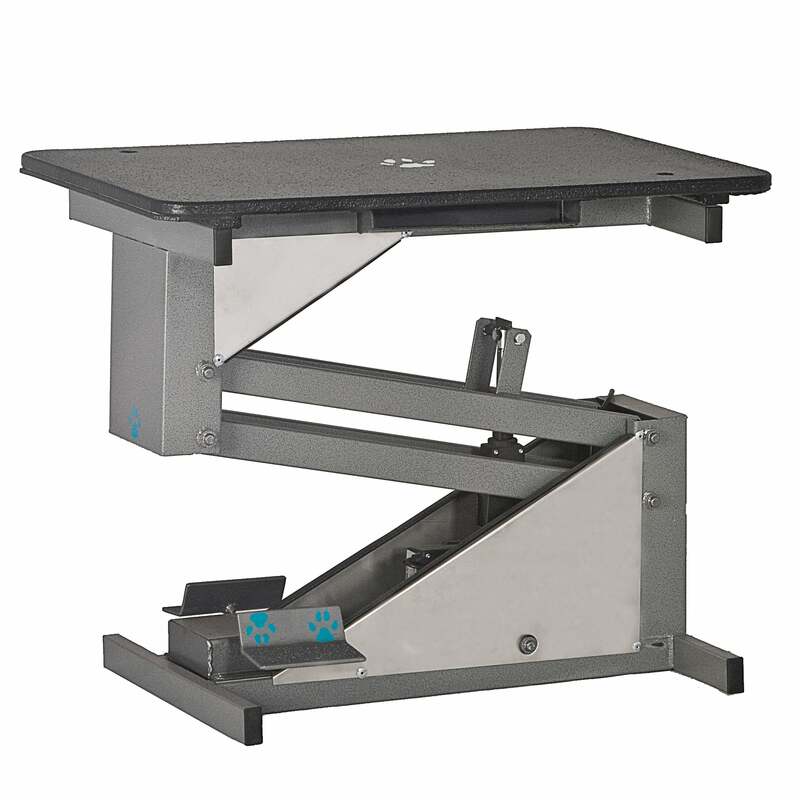 Rotating swing arm attaches to the table frame for additional security and rotates a full 180 degrees.